The inaugural Catch, Click and Submit Contest begins on Feb 21st in honor of the National Invasive Species Awareness Week running Feb 22nd through the 28th. The contest, which calls on anglers to photograph and report non-native fish species caught during the derby, will award prizes to various categories such as “Most Unusual Catch” and “Most Species”. 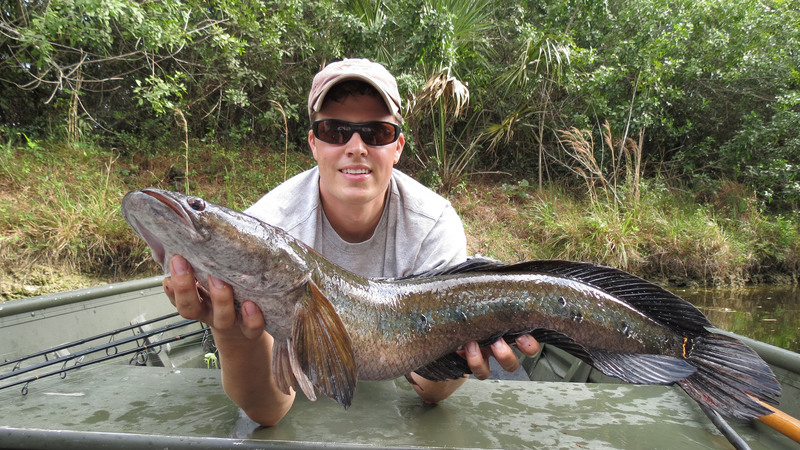 Submissions from the contest will aid researchers in developing a better understanding of the distribution of fish species throughout Florida waterways. By engaging the existing angler community, the contest hopes to increase public awareness of the potential impacts that arise from non-native fish species. “The Catch, Click and Submit Contest offers anglers the opportunity to assist natural resource managers in finding nonnative species by doing what they enjoy – fishing!” said biologist Kelly Gestring. “The early detection of a new, nonnative species could provide a better opportunity to control or even eradicate a population.” The hope is that participants will choose to target non-native fish for consumption in the future, helping to control invasive populations. The contest will be run in partnership with the U.S. Geological Survey, National Park Service, U.S. Fish and Wildlife Service, the Florida Fish and Wildlife Conservation Commission (FWC) and other local agencies. The goal is to establish an annual event to create a continued monitoring program using the support of anglers as citizen scientist.